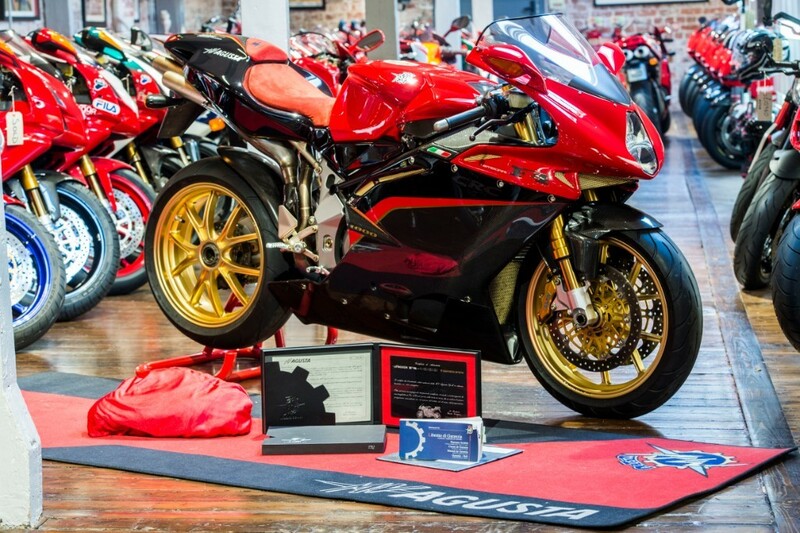 THE BIKE SPECIALISTS, TRADING STANDARDS AWARD WINNERS, Massimo Tamburini: "My Dream. 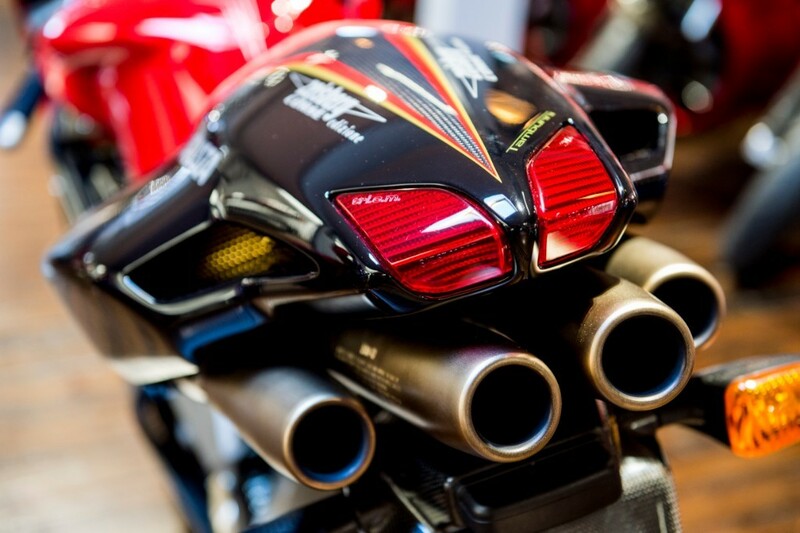 My Bike." 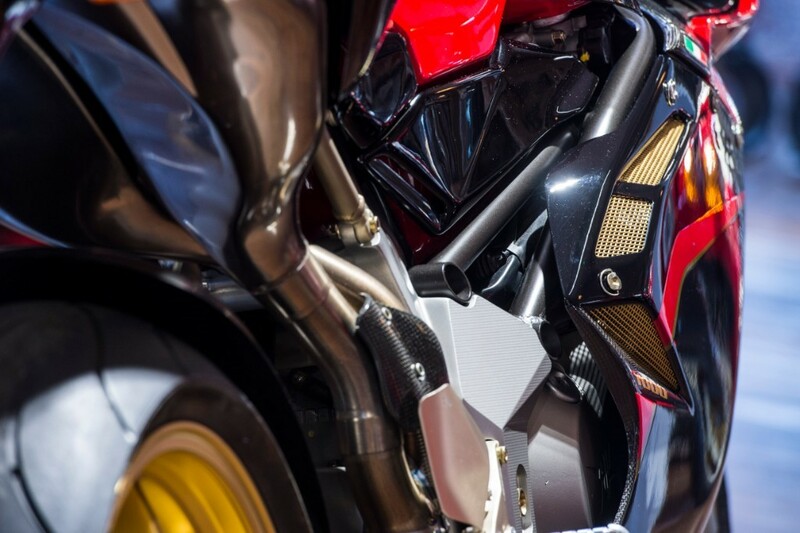 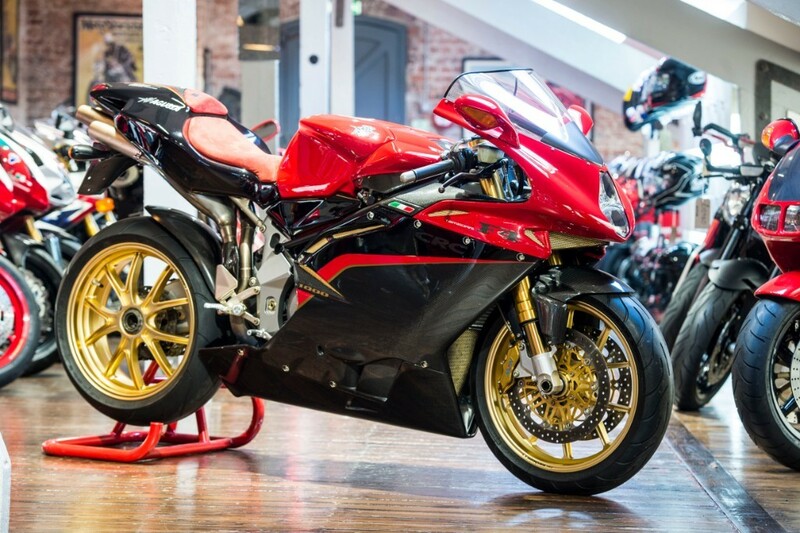 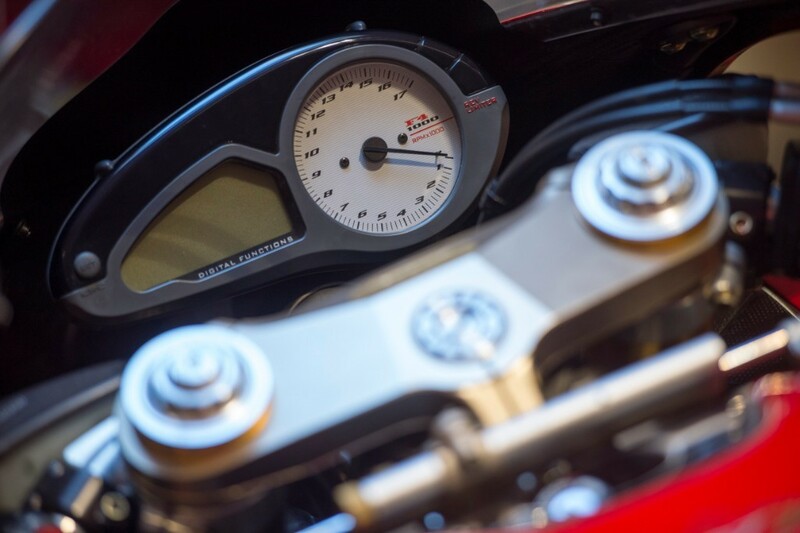 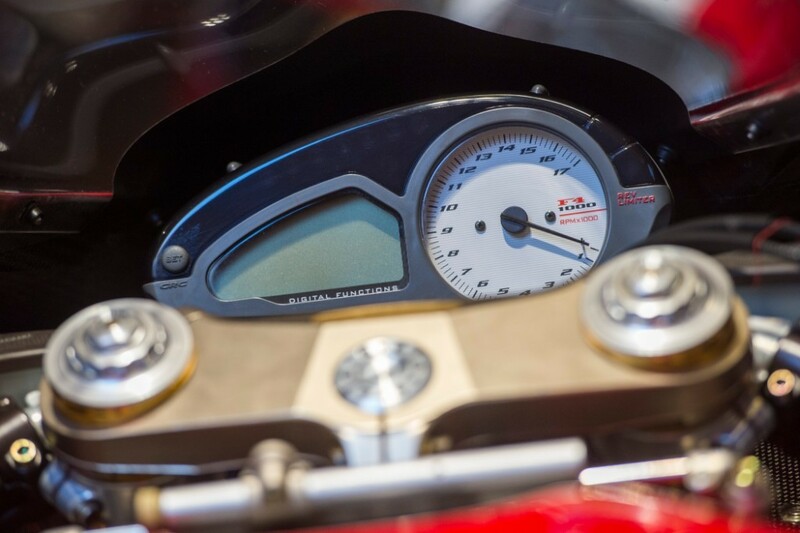 We are proud to offer the opportunity to own what must be one of, if not the most stunning motorcycles ever built, the MV Agusta F4 1000 Tamburini. 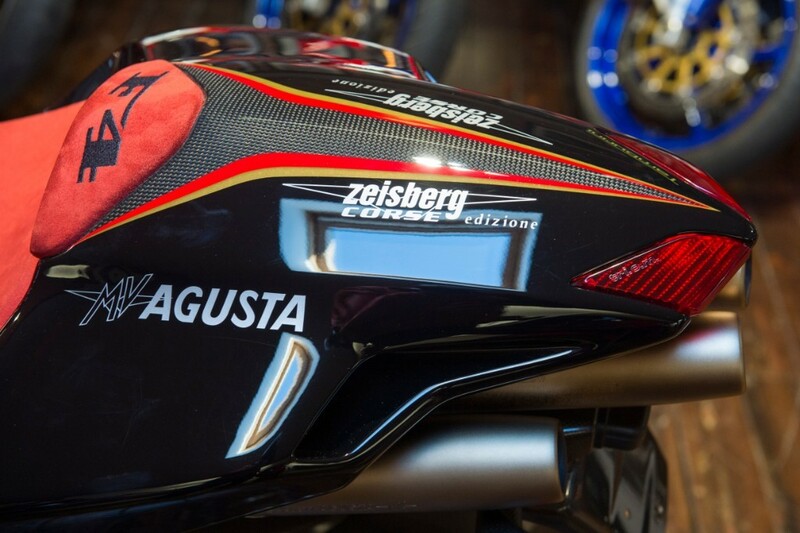 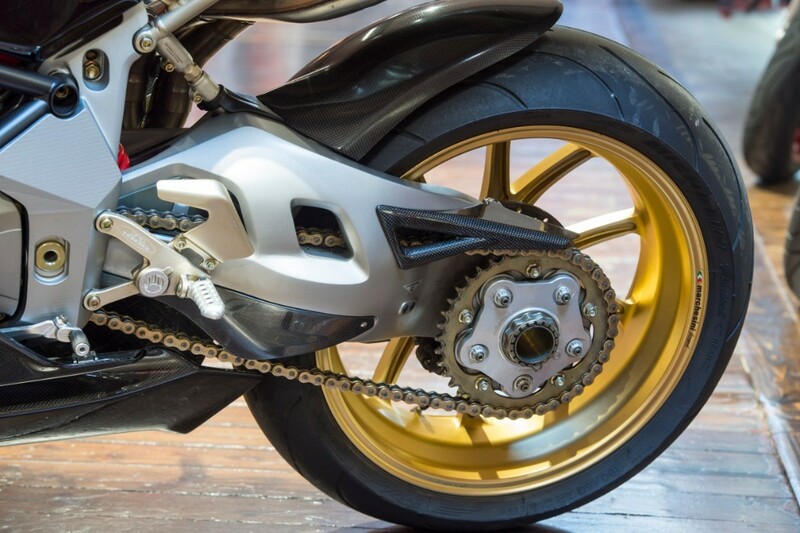 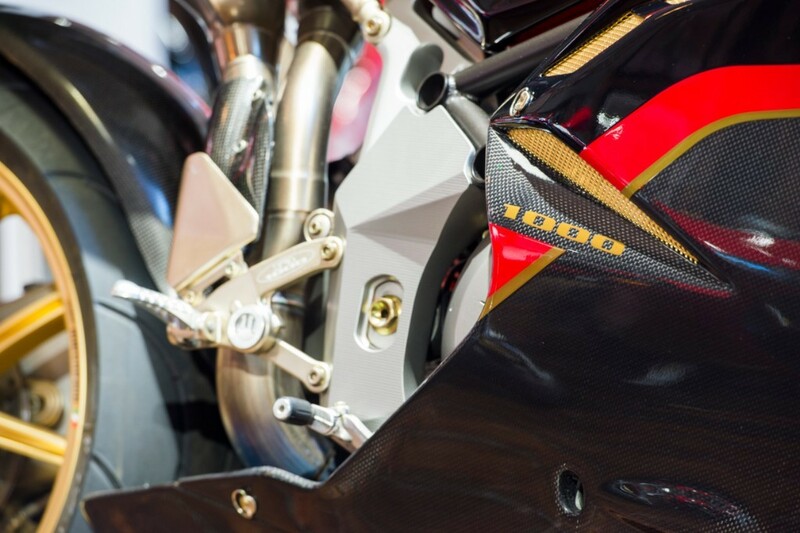 Homologated for World Superbike competition, our beautiful example of the iconic MV is number 192 of just 300 examples produced which is engraved into a gold plated oval plaque displayed on the bikes head-stock. 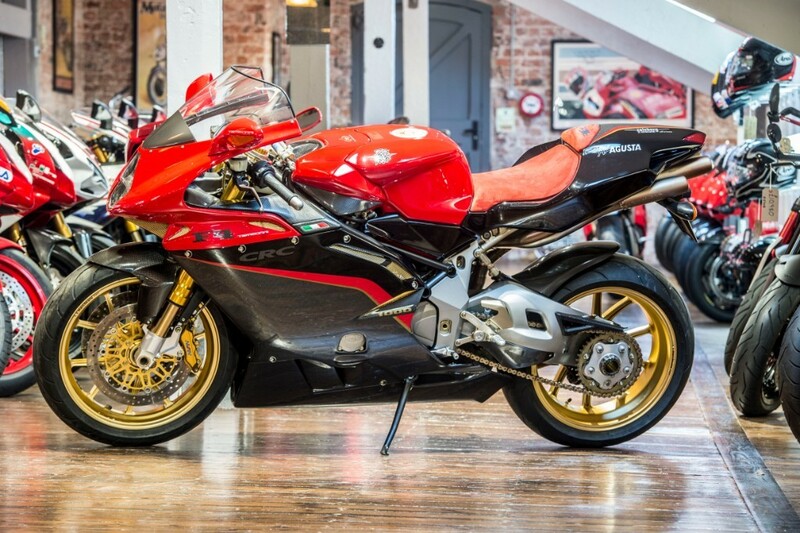 It has covered a genuine 1,676 miles from new and is in outstanding condition that really needs to be seen to be believed. 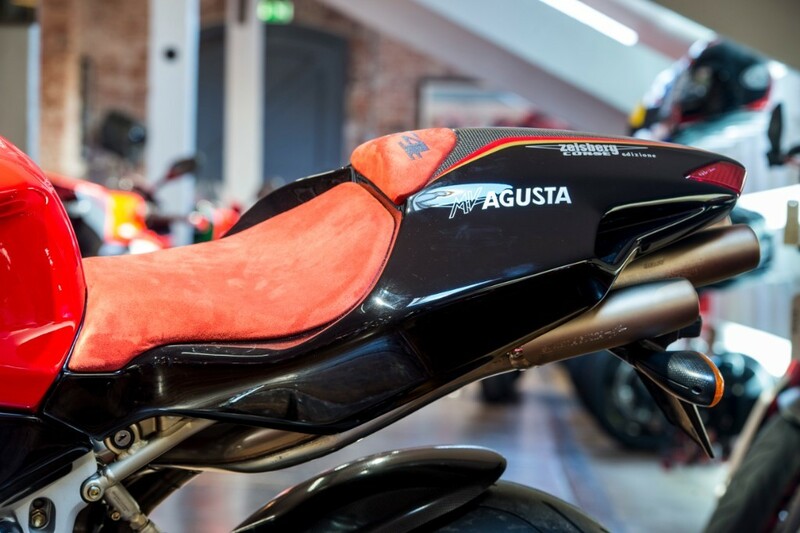 The bike is supplied with the original paddock stand, owners manual, service book and sales related brochures which include the clothing and parts catalogues. 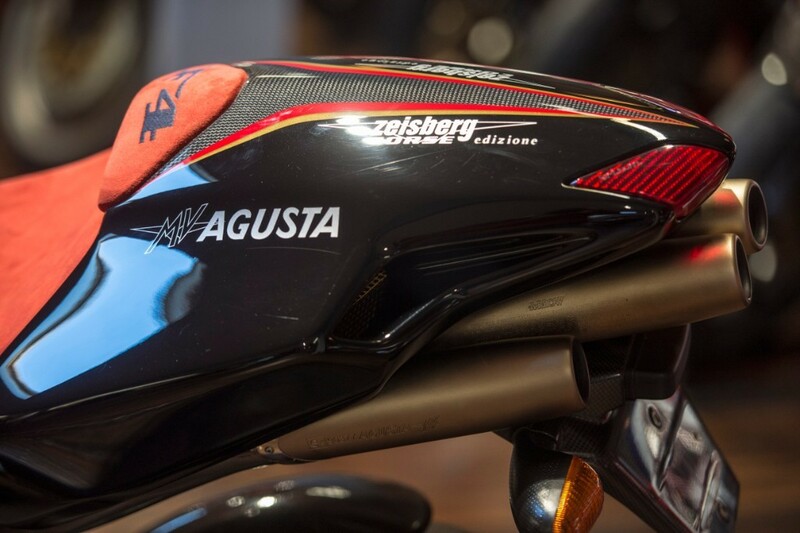 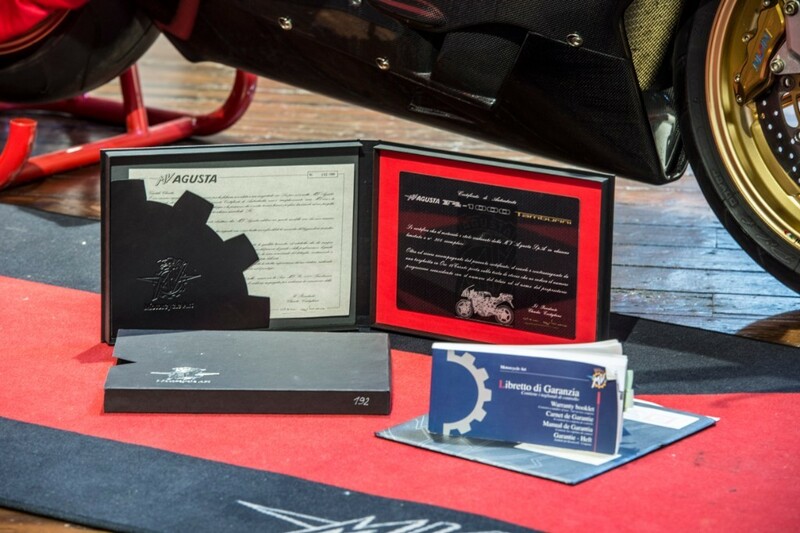 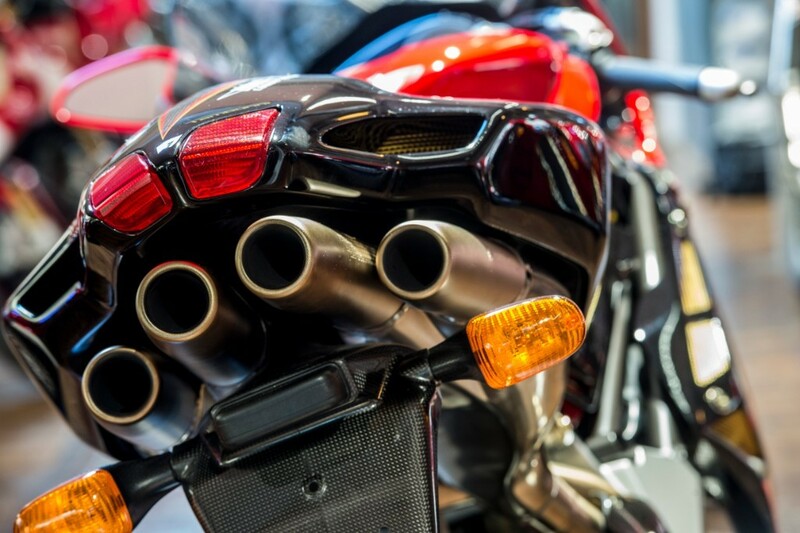 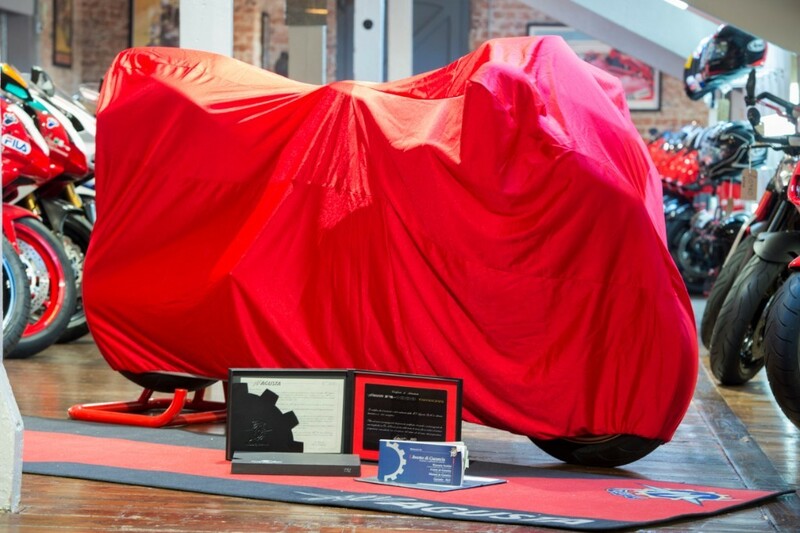 To top this ultimate package the bike is also supplied with a bike cover and the embossed boxed certificate of authenticity and commemorative plaque. 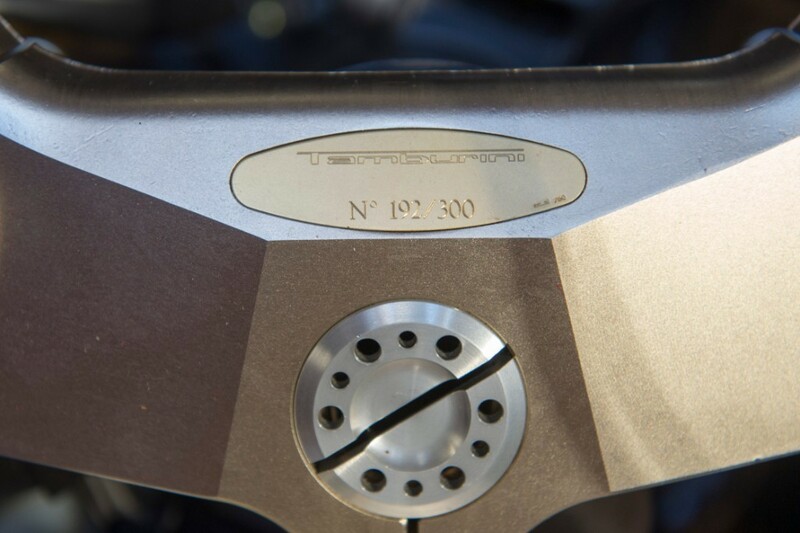 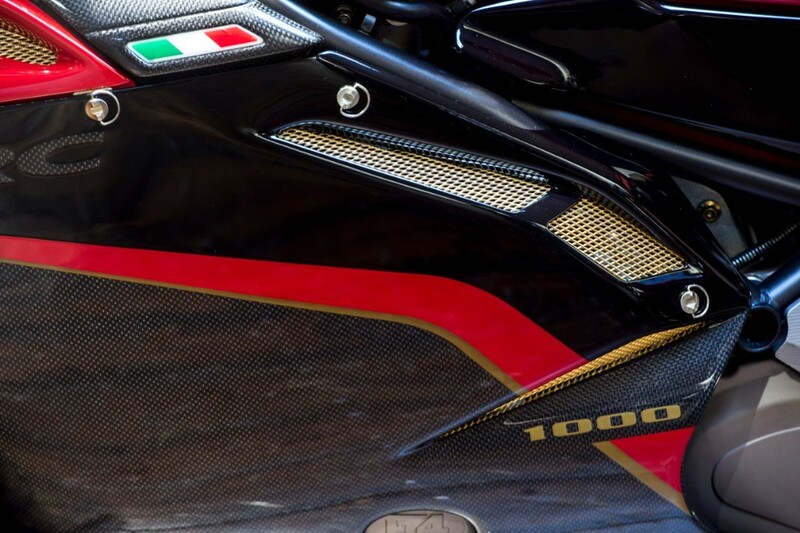 Even if you never ride this Tamburini, looking at it might be enough. 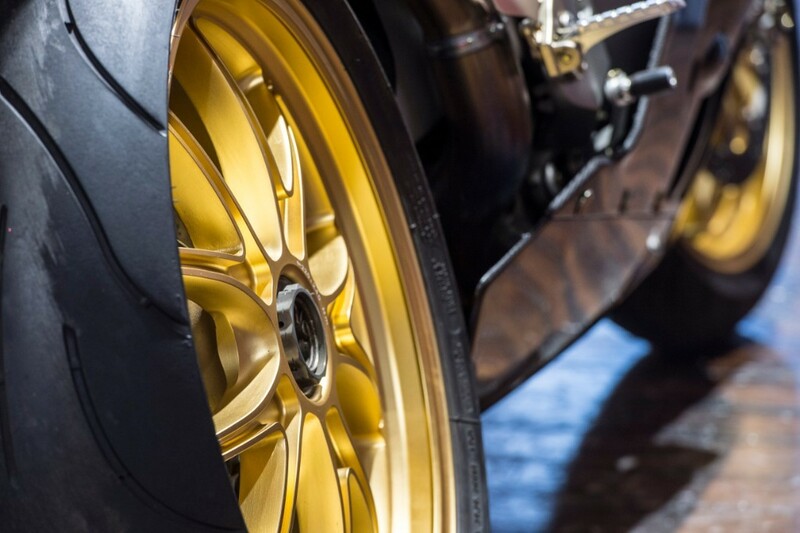 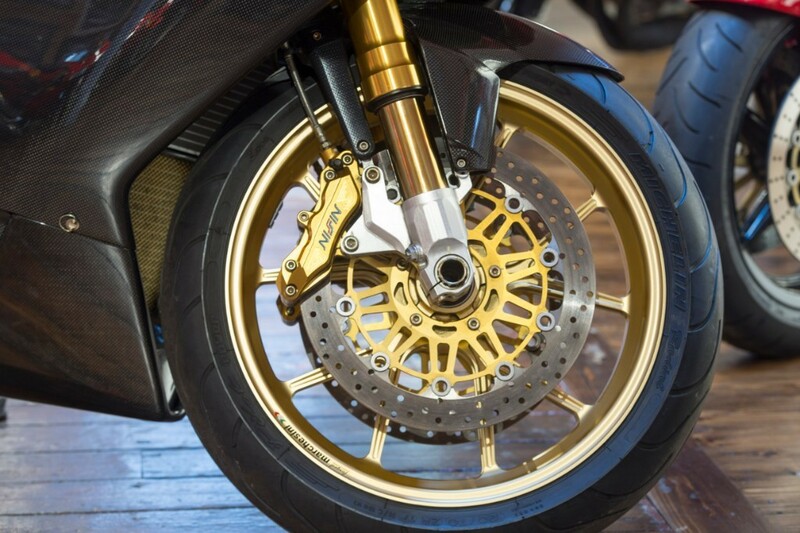 Gold-toned mesh covers the fairing vent holes, while forged aluminum wheels are gold anodized to continue the theme, just as with the 6 piston billet Nissin front brake calipers. 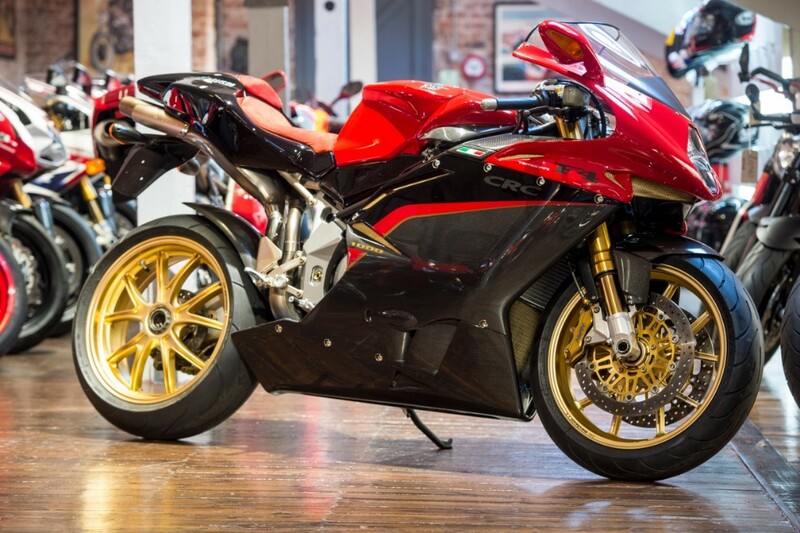 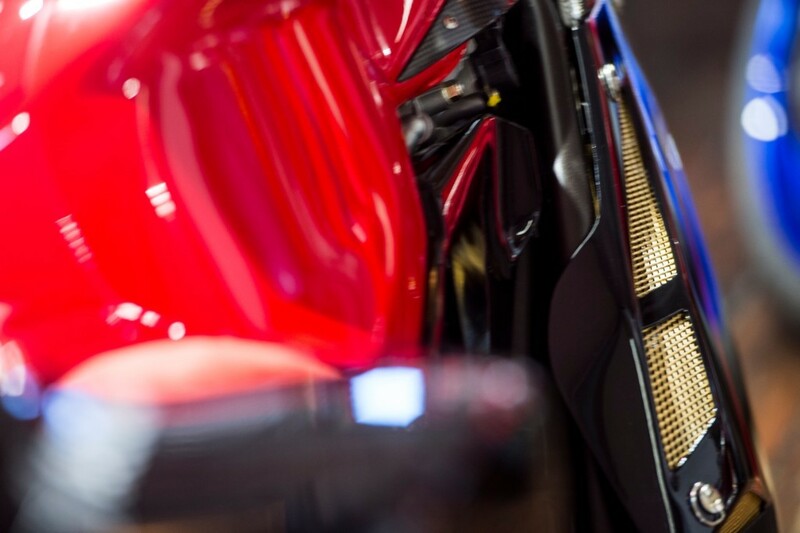 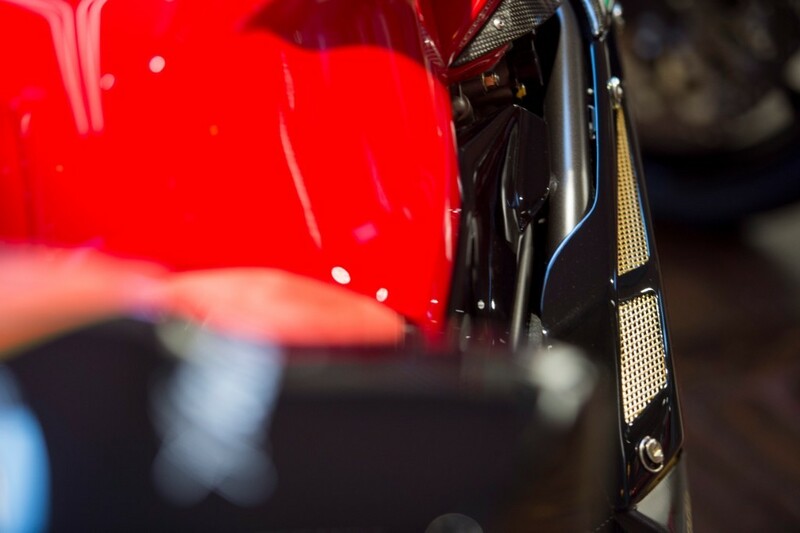 Aside from the fuel tank which is steel, the Tamburini's bodywork is nearly all carbon fibre, finished to a very high standard. 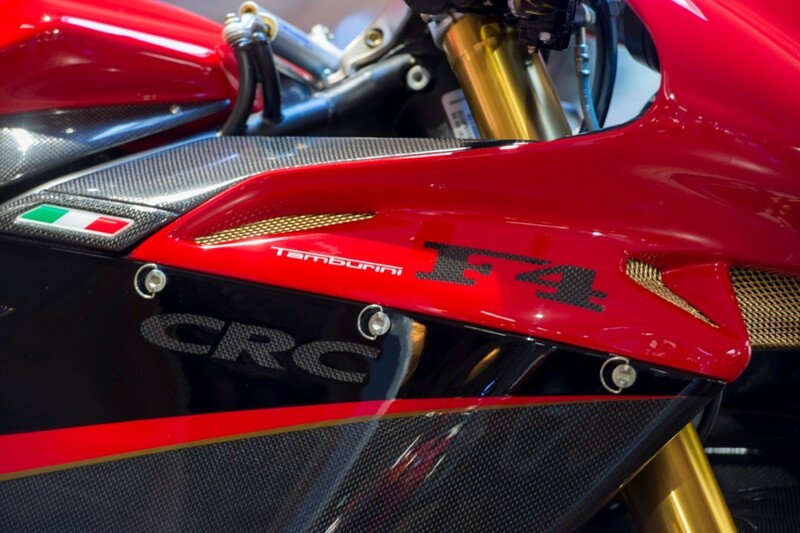 A nice touch is the F4 and CRC logo work on the fairing sides that lets the c-f weave “peek” through the high-gloss paint. 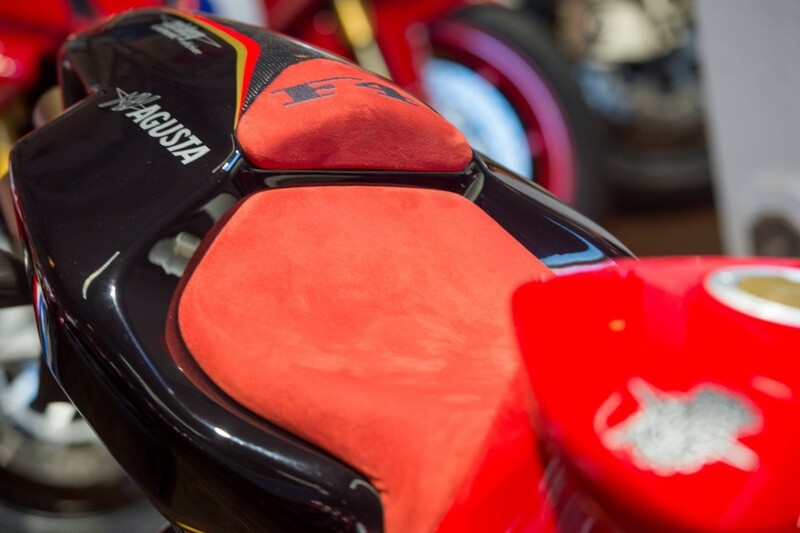 Who needs decals when the underlying material itself is so nice you simply leave paint off? 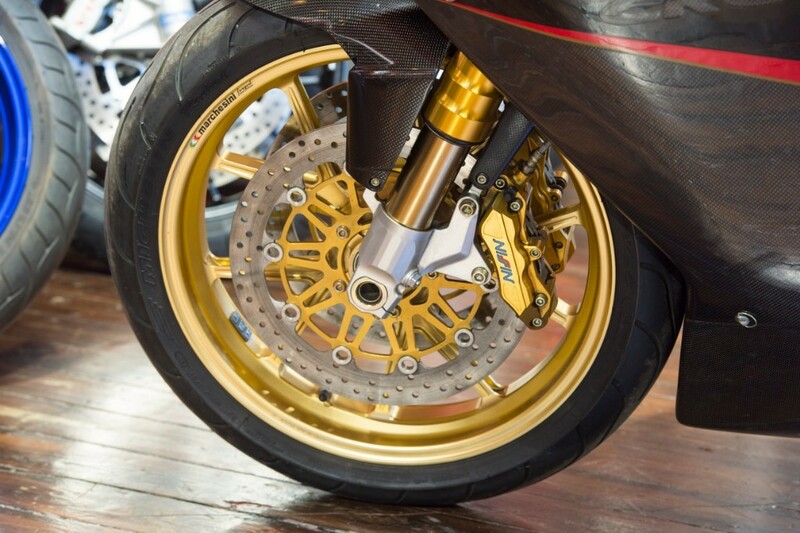 The lower triple-clamp, frame sideplates and gorgeous single-sided swingarm are lightweight magnesium. 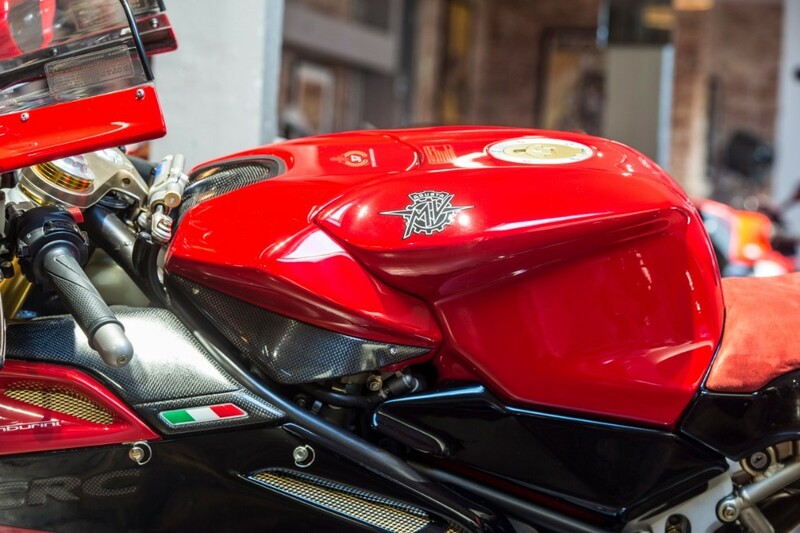 This is the ultimate collectable MV and would be the jewel in the crown for any serious collection. 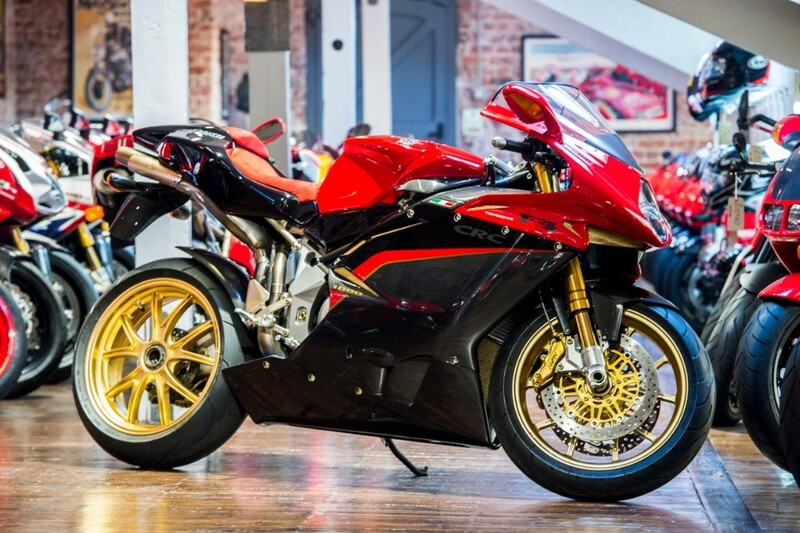 Please do not hesitate to contact us for more information or to place a small deposit to secure the bike. 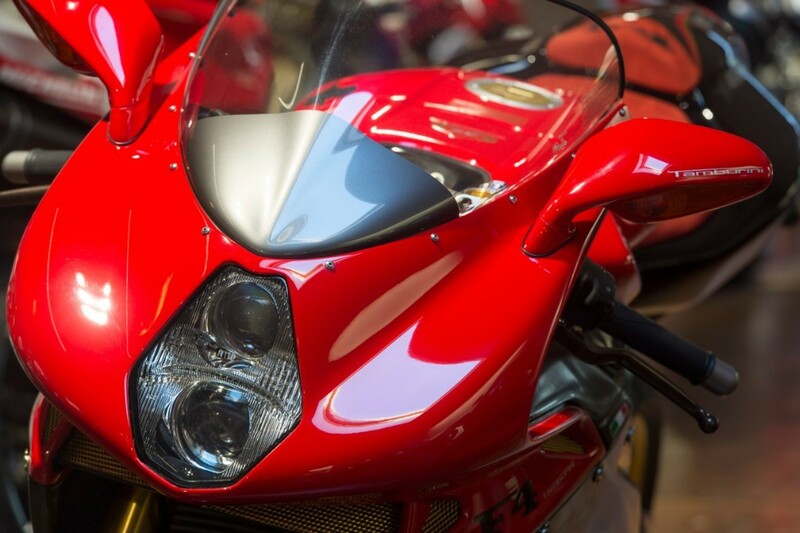 We offer full finance options and can organise delivery world wide.